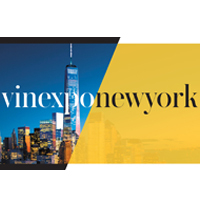 New York, NY – Vinexpo, taking place in New York for the first time, has organized a two-day conference dedicated to providing wine and spirit brands with the opportunity to connect with industry leaders and learn the latest trends in the ever-evolving alcohol business. As part of its initiation into the largest wine consuming market, Vinexpo has invited industry expert and Park Street President and Co-Founder, Chris Mehringer, to speak on an esteemed panel of professionals, exclusively presented to Vinexpo New York exhibitors. The panel will discuss industry trends within the U.S. market, a range of route-to-market strategies, and tips for building a successful brand. The presentation will take place the evening before the expo’s launch on Sunday, March 4th at 3:00 pm. Pioneered by Mehringer and CEO Harry Kohlmann, Park Street offers an innovative platform for craft wine and spirit brands to enter and expand in the U.S. market. Park Street is a leading provider of productivity-enhancing and cost-saving back-office solutions, advisory services, and working capital to several thousand alcoholic beverage brands from the US and around the world. The company’s clients range from entrepreneurs to multi-brand global suppliers, and include craft distillers, centuries-old family businesses, award-winning wineries, innovation brands, and more. Vinexpo is an international brand committed to producing prominent wine and spirit events customized for trade professionals. Since 1981, the event has expanded to Bordeaux, Hong Kong, Tokyo and New York, granting the company the exclusive title of the only international brand with wine and spirit events in the three continents with the highest consumption rates. Vinexpo has become a pivotal business to expanding the wine and spirits industry on an international scale. Vinexpo will take place on March 5-6, 2018 at the Jacob K. Javits Convention Center in New York, New York. For additional information, please contact Park Street at: marketing@parkstreet.com or (305) 967-7440.